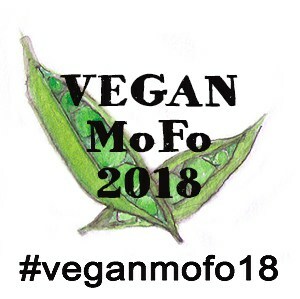 This is a feature I haven’t really been writing regularly, but for the duration of Vegan MoFo, I’m bringing it back! I think anyone interested in vegan cooking and clean eating has heard of Angela Liddon by now. She runs one of the most amazing blogs, Oh She Glows, which I find myself on at least once a day. Her recipes always work, they beautifully photographer and, to be honest, I don’t know why it took this long for her to get a book deal. She deserved on from day one. I’ve been using her book frequently and it’s already had a bit of a run in with a water jug…. whoops. But to me, a tattered cookbook is a well-loved cookbook! Like her blog, this book has a clean design, gorgeous pictures on nearly every page (remember the days when vegan cookbooks had next to no photos at all?) and her recipes are well-structured and easy to follow. What I love about this book is that everything just works. From overnight oats to gluten-free brownies, nothing has gone wrong so far and I’m fairly sure that it will stay that way. I also love that, although there are a fair few dessert recipes, many of them are still healthier than your average pudding recipes. Of course, we all now that I love the odd indulgent dessert, but I’ve really been trying to be healthier, fitter and all-round kinder to myself recently, so these are very welcome options. Overall, I would definitely recommend this book to anyone interested in healthy, balanced vegan cooking. It also fits quite nicely into the Tone It Up nutrition concept, which I’m a big fan of. Have you been bought Angela’s book? What did you think of it?